Rio de Janeiro is known for beaches, parks, museums, nature, and nightlife. 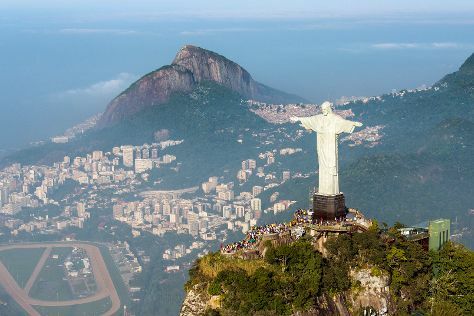 Your plan includes some of its best attractions: appreciate the history behind Corcovado Christ the Redeemer, kick back and relax at Barra da Tijuca Beach, take some stellar pictures from Leblon Beach, and admire all the interesting features of Maracanã. To see more things to do, other places to visit, where to stay, and other tourist information, read Rio de Janeiro trip itinerary tool . The Route module shows you all the different ways you can get to Rio de Janeiro. In March, daytime highs in Rio de Janeiro are 36°C, while nighttime lows are 27°C. Cap off your sightseeing on the 24th (Sun) early enough to travel to Porto de Galinhas. Porto de Galinhas is known for beaches, wildlife, trails, adventure, and museums. Your plan includes some of its best attractions: kick back and relax at Muro Alto Beach, contemplate the long history of Massangana Sugar Cane Mill, brush up on your knowledge of spirits at Cachacaria e Pimentaria Tio Gilson, and tour the pleasant surroundings at Vila de Porto de Galinhas Beach. To find reviews, other places to visit, ratings, and more tourist information, read our Porto de Galinhas online driving holiday planner . Traveling by combination of flight and shuttle from Rio de Janeiro to Porto de Galinhas takes 7 hours. Alternatively, you can drive; or take a bus. In March, daily temperatures in Porto de Galinhas can reach 35°C, while at night they dip to 29°C. Finish your sightseeing early on the 27th (Wed) so you can travel to Fernando de Noronha. 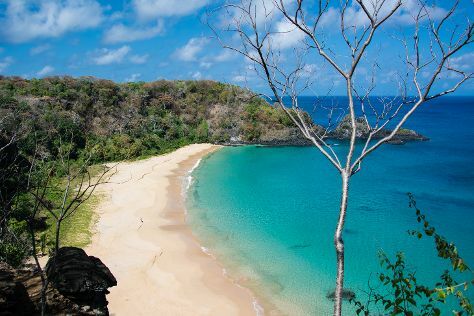 Fernando de Noronha is known for beaches, museums, wildlife, outdoors, and nature. 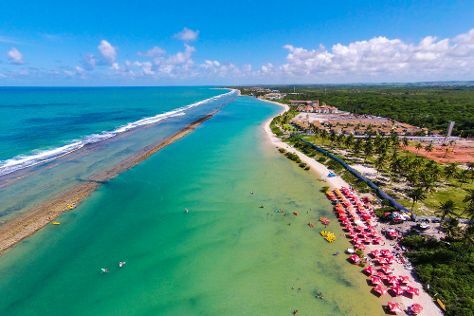 Your plan includes some of its best attractions: kick back and relax at Baia do Sancho, stroll through Boldro Beacch, and head outdoors with Baia dos Porcos. For maps, traveler tips, other places to visit, and more tourist information, read our Fernando de Noronha holiday builder app . You can do a combination of shuttle and flight from Porto de Galinhas to Fernando de Noronha in 3.5 hours. The time zone difference moving from Brasilia Time (BRT) to Fernando de Noronha Time (FNT) is 1 hour. Expect a daytime high around 35°C in March, and nighttime lows around 29°C. Wrap up your sightseeing on the 1st (Mon) to allow time to travel to Sao Paulo. 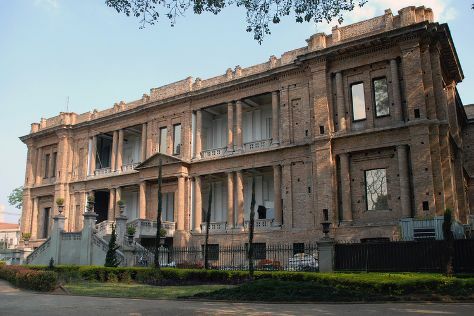 Sao Paulo is known for museums, shopping, parks, nightlife, and historic sites. Your plan includes some of its best attractions: stroll through Ibirapuera Park, pick up some local products at Mercado Municipal de São Paulo, see the interesting displays at Afro Brazil Museum, and explore the world behind art at Museu de Arte de Sao Paulo Assis Chateaubriand - MASP. To see traveler tips, ratings, other places to visit, and tourist information, refer to the Sao Paulo vacation planning app . Fly from Fernando de Noronha to Sao Paulo in 6.5 hours. The time zone difference when traveling from Fernando de Noronha to Sao Paulo is minus 1 hour. Plan for little chillier temperatures traveling from Fernando de Noronha in April, with highs in Sao Paulo at 30°C and lows at 20°C. Cap off your sightseeing on the 4th (Thu) early enough to travel to Gramado. When in Gramado, make a side trip to see Miragem Livraria in Sao Francisco de Paula, approximately 54 minutes away. Next up on the itinerary: explore the activities along Black Lake, take in the architecture and atmosphere at Catedral de Pedra, do a tasting at Casa Seganfredo, and find something for the whole family at Snowland. To find traveler tips, photos, maps, and other tourist information, read Gramado holiday maker website . You can do a combination of flight and taxi from Sao Paulo to Gramado in 4.5 hours. Other options are to do a combination of bus, flight, and taxi; or drive. Wrap up your sightseeing on the 7th (Sun) early enough to travel to Foz do Iguacu. Foz do Iguacu is known for zoos & aquariums, historic sites, museums, nightlife, and nature. Your plan includes some of its best attractions: see human ingenuity at work at Iguazu Falls, take in the spiritual surroundings of Buddhist Temple, take in the dramatic scenery at Garganta do Diabo, and tour the pleasant surroundings at Parque das Aves Bird Park. For ratings, photos, reviews, and tourist information, go to the Foz do Iguacu road trip app . Do a combination of bus and flight from Gramado to Foz do Iguacu in 5.5 hours. Alternatively, you can do a combination of bus and flight; or drive. In April in Foz do Iguacu, expect temperatures between 32°C during the day and 20°C at night. Cap off your sightseeing on the 10th (Wed) early enough to travel back home.